re take - cover for split kiteboard „luxurious cover for luxury split kiteboard“ Whether hiking to the next launch point or travelling across the globe by plane, all your valuable possessions deserve the adequate protection. We used only resistant and maximum quality materials for the longest possible working life. Re take is designed for all those in search of the perfect case for a split kiteboard. Whether hiking to the next launch point or travelling across the globe by plane, all your valuable possessions deserve the adequate protection. We used only resistant and maximum quality materials for the longest possible working life. Re take is designed for all those in search of the perfect case for a split kiteboard. The main advantages of the re take travel bag lie in the fact that it is made from resistant materials and corrosion-resistant plastic zippers. It also includes a small pocket for screws. The whole bag is lined with layer of a foam, which reliably protects all the content inside. A washable film is used on the inside to protect from the intrusion of sand and any other dirt. The inner space is divided by a screen to avoid scratching the two halves of the split kiteboard. Therefore, there is no need to uninstall the fins. 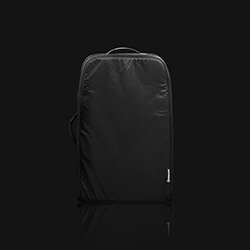 The dimensions of the re take cover was designed to contain split kiteboard and bindings. 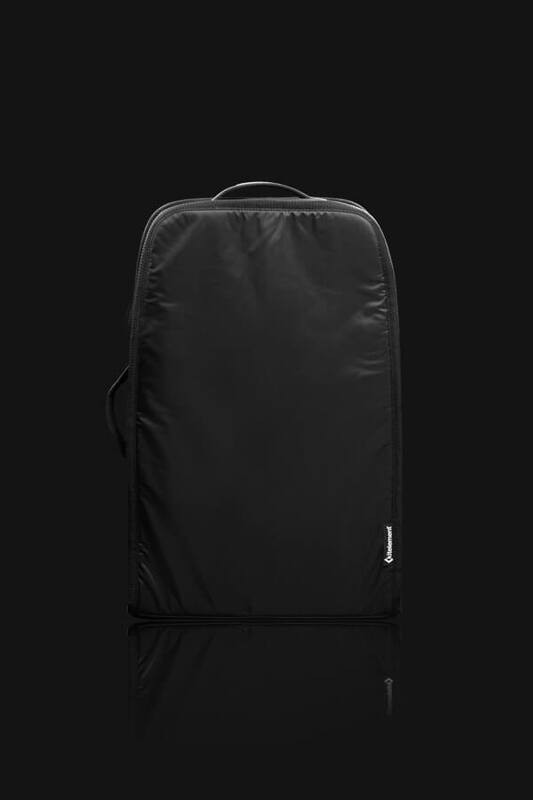 The re take travel bag is made to contain a split kiteboard in any dimension up to 140 × 43 cm.